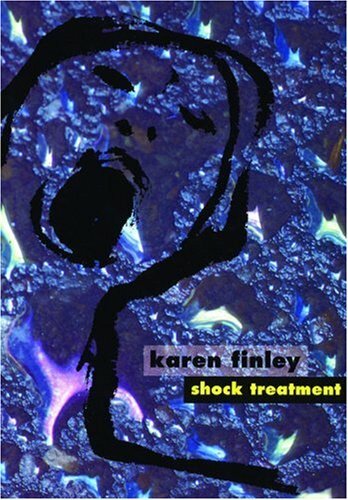 Shock Treatment includes Karen Finley’s most provocative and acclaimed performance monologues, essays, and poems, with “The Constant State of Desire,” “We Keep Our Victims Ready,” “It's Only Art,” and “The Black Sheep.” Excoriating misogyny, homophobia, abusive families, greed, and state coercion of bodies and minds, Finley holds out hope for a world informed not by hate and fear, but by truth and unconditional love. Karen Finley is a New York–based artist whose performances have long provoked controversy and debate. Her performances have been presented at the Lincoln Center (NY), the Guthrie (Minneapolis), American Repertory Theater (Harvard), the ICA (London), the Steppenwolf (Chicago), and the Bobino (Paris). Her artworks are in numerous collections and museums including the Pompidou in Paris and the Museum of Contemporary Art, Los Angeles. Finley attended the San Francisco Art Institute receiving an MFA and an honorary PhD. She has received numerous awards and fellowships including a Guggenheim Fellowship, two Obies, two Bessies, Ms. Magazine Woman Of The Year Award, NARAL Person of the Year Award, and NYSCA and NEA Fellowships. She has appeared in many independent films, including Jonathan Demme’s 1993 Oscar-winning film Philadelphia. She has written and/or edited eight books including Shock Treatment (City Lights, 1990), Enough is Enough (Poseidon, Simon and Schuster, 1993), Living It Up (Doubleday, 1996), Pooh Unplugged (Smart Art Books, 1999), A Different Kind Of Intimacy: The Collected Writings of Karen Finley (Thunders Mouth Press, 2000), George and Martha (Verso, 2006), and Reality Shows (Feminist Press, 2011). Current projects include Open Heart (a public memorial for children killed during the Holocaust created in collaboration with survivors, children, and locals). Finley is a professor at Tisch School of the Arts at New York University in the department of Art and Public Policy. Online seller of out-of-print, uncommon and rare and collectible books. Specializing in Art, Photography and Contemporary Fiction. All books guaranteed as described and are returnable within the standard ABE return policy with prior notification of return via email. All books are offered subject to prior sale. Email inquiries and questions answered at our earliest convenience. Terms of sale: checks and money orders preferred from US customers, we also accept Visa and MasterCard through ABE.